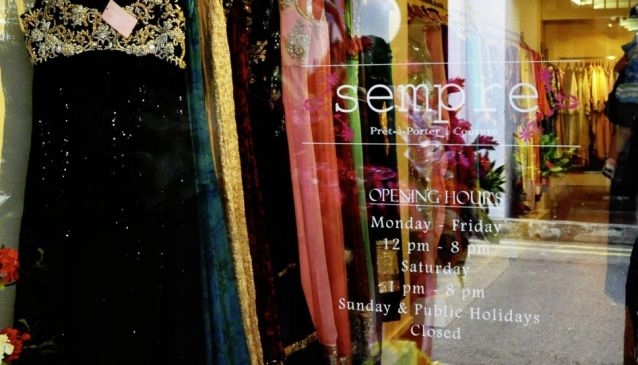 Sitting amidst the culturally vibrant Haji Lane in Kampong Glam, Sempre is a multi-label boutique home to a wide range of renowned Pakistani designers including Sania Maskatiya and Nomi Ansari. The interior, designed to replicate a walk in wardrobe, is a dream. Featuring rails and rails of apparels with a luxurious curtained fitting room, Sempre effectively creates a warm and inviting shopping experience. Besides more extravagant party pieces, you will find a good mix of casual and prêt-a-porter pieces with the kaftan-like silhouettes being a popular pick with various customers. The store is constantly injecting new arrivals every week or so, just to keep the luxe vibe flowing.